In 1910 Alice Wells took the oath to join the all-male Los Angeles Police Department. She wore no uniform, carried no weapon, and kept her badge stuffed in her pocketbook. She wasn’t the first or only policewoman, but she became the movement’s most visible voice. Police work from its very beginning was considered a male domain, far too dangerous and rough for a woman to even contemplate much less take on as a profession. Women who donned the badge faced harassment and discrimination. It would take more than seventy years for women to enter the force as full-fledged officers. Yet within the covers of popular fiction, women not only wrote mysteries but also created female characters who handily solved crimes. 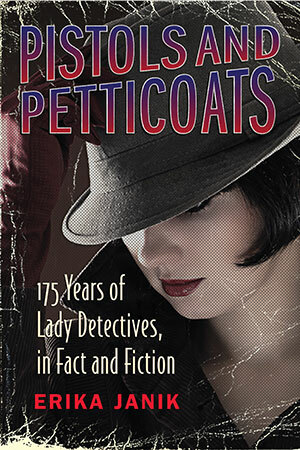 Smart, independent, and courageous, these nineteenth- and early-twentieth-century female sleuths (including a healthy number created by male writers) set the stage for Agatha Christie’s Miss Marple, Sara Paretsky’s V. I. Warshawski, Patricia Cornwell’s Kay Scarpetta, and Sue Grafton’s Kinsey Millhone, as well as television detectives such as Prime Suspect’s Jane Tennison and Law and Order’s Olivia Benson. These authors were not amateurs dabbling in detection but professional writers who helped define the genre and competed with men to often greater success.